Building it yourself can be tricky, complicated and frustrating. It is also time-consuming. Media Trends will take whatever copy you have — whether it’s news from your school or organization or information about your business — and use it to build an attractive site. Maybe it’s out of date. Maybe the webmaster has disappeared (quite common). Maybe you want to do something with it that is beyond your abilities. Media Trends can help you. Just contact us. Our most important aspect is our reliability. We are always here for you, regardless of where you live or work. 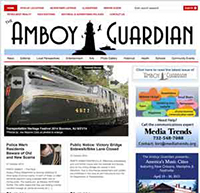 AmboyGuardian.com is the web presence and point of contact for The Amboy Guardian, a weekly newspaper in Perth Amboy, New Jersey. 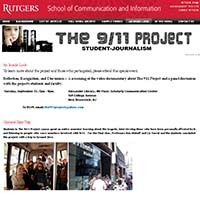 For the 9/11 Project, Rutgers journalism students interviewed children whose parents died in the Sept. 11, 2001 attack on the World Trade Center. 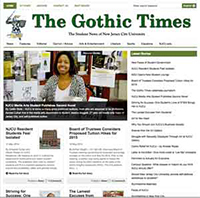 Gothictimes.net is the website for The Gothic Times – New Jersey City University's student newspaper. 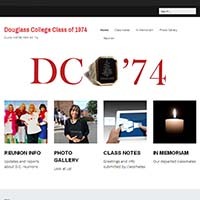 This website is for members of the Class of 1974 at Douglass College. It contains password-protected "member only" sections in addition to public pages. 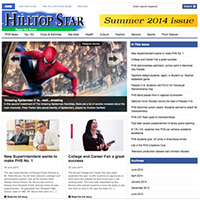 Hilltop Star is the official school newspaper for Passaic High School. The website is updated after each issue. 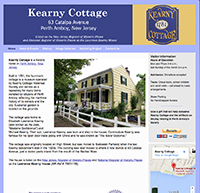 Run by the Kearny Cottage Historical Association, Kearny Cottage is listed on the National Register of Historic Places as the Lawrence Kearny House.